Hey guys it’s Sam, and it’s time for our first-ever episode of gaming news! I know, gaming new’s been a part of Sammwak’s lore for a long time. Actually, one of the first posts on Sammwak was about Left 4 Dead. But it’s time to take that knowledge to a whole ‘notha [level]. And that’s what our segment 1st Person is for; all the news that’s fit to–no, um, it’s the largest source for–no, that’s GameSpot’s slogan. Um, while I think of a catchphrase, how about we get to our first game and find out the first piece of news in our series premiere. There are a lot of games out there for the Xbox Live Arcade, open since the Christmas month of 2004. Through its eight years of existence, some really good and bad XBLA titles have come to be. Some good examples include the ‘Splosion Man duo, Limbo, and Super Meat Boy. Some bad examples include Zombie Wranglers, Tour de France 2009, and Blazing Birds. And another bad example might include the recently released title Warp, the second “XBLA House Party” released for the XBLA, PS3, and PC. In this game, you control an inhuman character named Zero, who seemingly looks like he was a rejected de Blob sidekick. Zero is taken to a military-grade facility, where he fades in and out of consciousness and at one point awakens to find that he is being operated on, having a disc-shaped object extracted from him. Soon after, through telepathic procedures, a fellow alien contacts our hero, saying that it can sense other aliens in the facility and planning the duo’s great escape. Zero then proceeds to fulfill his title as a facility escapee under your control, helping any aliens on the way, but not before reabsorbing that disc. It may seem kinda cute, but this game fulfills its M-rated properties: Warp seems like the perfect name for this game, not only manifesting our hero’s eponymous attack (where he warps through walls and even through people & objects), but also of the game’s oddly balanced warp between violence and cuteness. A hybrid between stealth, action, and puzzle, Warp is one of two currently-released titles from the Canadian indie developer Trapdoor Inc., the other being Fez for the rarely-known PlayStation-esque NES hardware clone, the PolyStation. Considering Trapdoor has clearly not had much taste in the more popular gaming culture, can Warp be their first success?…Well, kind of. GameSpot’s Jeremiah Johnson said that although the game had merits (enjoyable puzzles, charming balance of gore and cuteness, superb visuals, tough leaderboard challenge rooms), it also had its flaws, like clunky controls and some trial-and-error puzzles. On high, he said that it was an “entertaining top-down puzzler” that was still, however, weighed down. He gave the game a 6.5/10, which ranks as “fair” on the meter, an above-average level. Users were slightly more positive, upping the ranks to 7.2. IGN’s Daemon Hatfield was a lot more positive for the game, however. He called it “brainy and amusing”, and despite some hiccups around the final half of the game, he highly recommended it as a “rich, satisfying adventure.” He gave it an 8.5/10, which is not only “great” on the meter, but also received an Editor’s Choice award. So, yeah. IGN really likes this game. Joystiq gave it a 3/5-star score, saying that it wasn’t particularly memorable, and didn’t quite create an identity for itself, and pulled the inspiration from the many corners of gaming’s landscape, and for that reason, Warp got degraded a bit more. 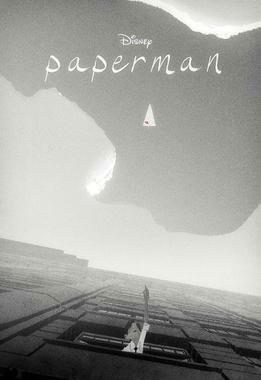 Game Informer gave the game a 6.75/10 score, saying that it was “promising at first, but it becomes more tedious as it progresses”. They said the simple factors of the game weren’t enough to make a standout in the Arcade, and that anyone looking to go deeper should choose a different game. Overall, Warp overall may have fatal flaws that push it back, but it does have its moments. Approach the game with caution. It’s Manhattan. A viral plague called Blacklight is spreading. The infected become grotesque behemoths on uncontrollable manhunts for the uninfected. You’re an amnesiac mutant, enabled with the power of shape-shifting and absorbing others (known as “consuming”), as well as tremendous power that even allows you to climb up buildings effortlessly. What kind of person are you? You are Alex Mercer, the star of Radical Ent.’s hit of summer 2009, Prototype. Despite its gameplay similarities to other games, it was a critical and commercial success, having enough sales to be inflicted into the Xbox’s Hall of Platinum Hits. And, of course, after that there needed to be a second phase. And so that’s where Prototype 2 comes in, the super-heroic sci-fi sequel. In this game, a man named James Heller goes out to fulfill his goal of eradicating Blacklight, but also plans to terminate a person whom he believes is responsible for the death of his family in the virus outbreak: none other than Alex himself. James practically shares the exact same powers as Alex, although shape-shifting and consumption has become more tactical. 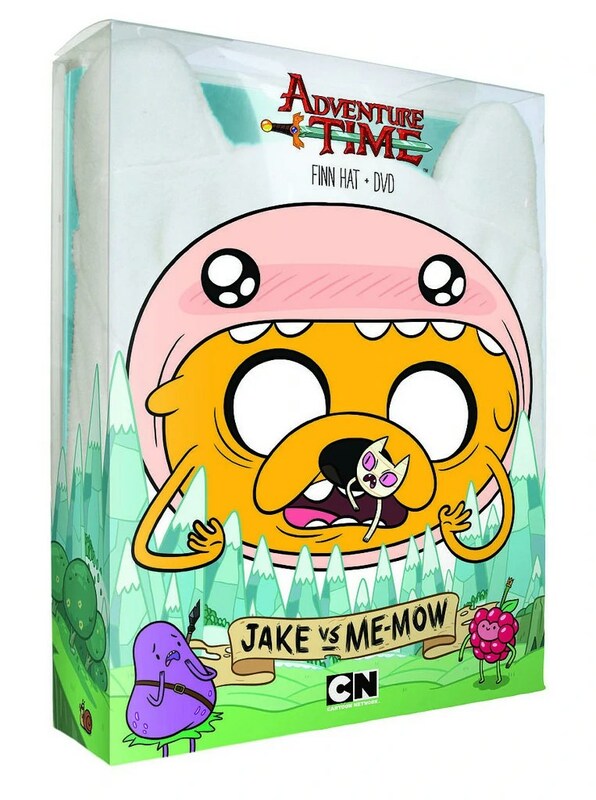 Like, if James consumes a soldier, people’s reactions will show they want nothing to do with him. To prevent enemy overwhelm, Radical has included more down-to-earth AI, as well as weapon use, like fending off using a freshly-ripped tank cannon. 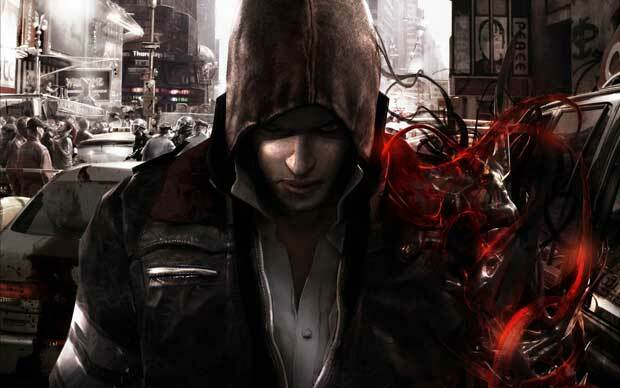 Prototype 2, in my eyes, looks like a good game. But is it?…Somewhat yes. IGN’s Greg Miller quoted that the said game “[had] no impact”, and despite the factors of the game, nothing really meant anything to Miller. He said he doubted he’d remember the game’s “sterile side missions and curse word-laden dialogue”, and he came to the conclusion that Prototype 2 was a case of “forgettable fun”. He gave the game a 7/10, which is only “good”. At GameSpot, editor Tom Mc Shea praised the game’s empowering mechanics of movement, huge variety of attacks, experimenting incentives, and fun-to-find collectibles. But he also criticized the game’s practical lack of challenge, and also that it contained little that hasn’t been seen before in the series. He said that these “sporadic missteps” where however covered up by its “brutal delights”, and wrapped up his review with a 7.5/10 score. Another “good”. Joystiq handed out another 3/5-star review, saying that people would have different emotions for the game, as much as you liked its mobility and brands of mass destruction, and how much you can forgive more brain-dead moments like repetition and witless dialogue. Even Destructoid gave the game an 8/10! So, overall, this sequel looks like a good pick to add to your library, but discerning gamers beware. Never has Ubisoft attempted such a game that I’ve known of. This is one of the biggest twists in the company’s history. But indeed, their award-winning saga Assassin’s Creed is going back, way back, to the era the thirteen original colonies called “the good ole days”. In other words, Assassin’s Creed is going to the American Revolution with its newest upcoming title, Assassin’s Creed III. 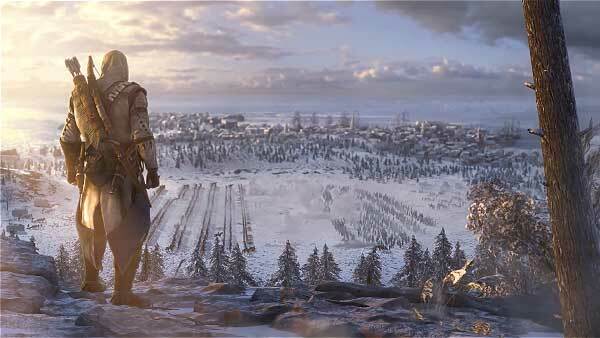 This open-world stealthy action-adventure is said by Ubisoft to be bigger than any other installment (no chiz), and it will feature a new character (much like in Prototype 2) named Connor Kenway, whose birth name is Ratohnhaké:ton, which is pronounced (ra-tohn-ha-ke-ton). Spanning 3 decades of Connor’s life from 1753-’83, the war between the Assassins and Templers has moved to the colonial Americas. Connor is a half-English half-Mohawk man drawn into the fight when his home undergoes attack by white colonists. Over the course of the game, it being an art of long-long-ago historical fiction, you’ll run into famous faces of the past like Ben Franklin, presidents Ben Franklin and Thomas Jefferson, Charles Lee, William Prescott, among even others. Work on this game began almost automatically after the primetime release of Assassin’s Creed II, but the following year when Ubisoft first revealed Brotherhood, confusion occurred as to whether or not this was the real deal. Well, luckily, now they know, and now you know to mark your calendar for this game’s release on October 30 in North America, Halloween 2012 for the PAL region. Nope. Carolyn Petit, an experienced GameSpot enthusiast in both reading and editing, said that despite some grotesque character designs, the game had tedious combat, terrible boss battles, a generally underdeveloped world, a distractedly unstable camera, and a number of tech problems of minor level. She gave the game 4 merits overall: Brutal (the good), Shallow, Bad Camera, and Derivative (the bad). Petit wrapped up her review with a 3/10 score, a “bad” on the scale. After this cold review, Bloodforge found no luck at IGN, either. Steven Hopper, a level-four editor, praised the game’s visuals and graphics, but criticism got the better of him for numerous reasons: an awful camera, a shallow story, derivative gameplay, and bringing nothing unique and/or innovative to the table to yak up. Hopper said that the game was a bad competitor against series like God of War or Darksiders, and considering the Arcade’s other chockful of prime experiences, it was hard to recommend Bloodforge to anyone, anywhere, anywho. He gave the game a 4/10 score, another “bad” on the meter. Joystiq handed out yet another 3/5-star score, saying that it would be more difficult to confront as a full-priced standalone, and that its action would be tiresome lasting any longer than its campaign, clocking in at a rough five hours’ worth. Attempt to play this game as thoughtfully as Microsoft developed it, you’ll come out disappointed. Attempt to play it whilst accepting it as a button-masher, and you’ll come out guiltily pleased. So overall, Bloodforge might offer a small portion, but all-around, it looks like you should skip this opportunity. p.s. Time for our Would You Rather o’ the Week! Would you rather…eat bacon with everything you eat ever, ever, ever, ever again, or would you eat pizza with everything you eat ever, ever, ever, ever again? p.p.s. Time for our Random Video o’ the Week! This week goes to “Dubstep Puffle“, a video from the official channel for Club Penguin, consisting of a dark gray pet Puffle wearing a pair of headphones, listening to dubstep, while in numerous situations, like living memes and riding inside a box in space that is farting out a rainbow. At the end of the video, you can snag a secret code to get your Puffle their own set of headphones, although I’m not sure it’s gonna be dubstep they’ll be listening to. Anyway, since its debut on the 5th this month, it’s gotten almost 400,000 views, but with you I can bet cold hard fake cash it’s gonna go longer. BONE is finally due to be a movie sooner or later! Hey guys it’s Sam, and I have some super juicy news to tell you. News that’ll make your day. News that’ll turn your life upside down. News that’ll…ah, you get the point. If you’re a fan of Scholastic-published graphic novel sagas like Magic Pickle or Knights of the Lunch Table, you’ve probably heard about Bone, the big boss of them all. 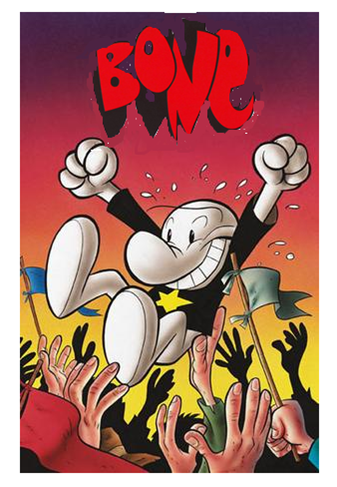 Created by Jeff Smith in 1991 and alive until 2004 (with re-colored re-releases going from 2005 to 2009), and despite the fact that it lasted for only nine books, Bone is still a great ripple into the lake of Scholastic graphic novels, and it’s also a ten-time Eisner Award winner (like Oscars, but for comics). And you know how books get turned into movies way too frequently (Ramona and Beezus, Charlotte’s Web, Judy Moody, etc.)? Same thing’s happening to Bone, and brother/sister, my—and maybe your—dreams have been answered. U like? Those were self-made Bone movie posters, son. 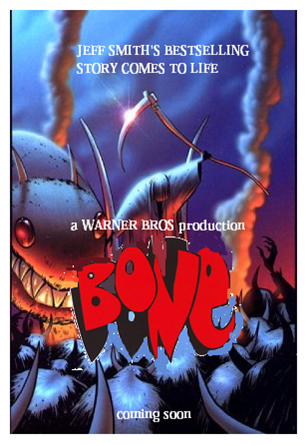 And while the template for actual posters is to be determined (although you could consider mine, you have 100% permission, but give me credit and 5% of the total gross), the concept for a Bone movie has literally been around since the 90s, when Bone was just reaching its heyday. Back then, Nick Movies was the first to develop the idea and take action, but the rights were just recently claimed by Warner Bros. in ’08 (which explains the “a WARNER BROS production” label on my posters). And now, the studio’s finally moving forward with their great idea. Patrick Sean Smith, the man who created the recently-ended ABC Family show Greek, has been officially hired to adapt the script for P.J. Hogan (Muriel’s Wedding, My Best Friend’s Wedding, and 2003’s Peter Pan). If you don’t already know the story that has captivated millions, here it is: three Bone cousins, Fone, Phoney (real name: Phoncible), and Smiley have been exiled from their hometown of Boneville. Therefore, they embark in a series of wild fantasy adventures including rat creatures, “stick-eaters”, and a creepy hooded guy known and feared through the village as “the Hooded One” (basically, he’s Voldemort, Bone edition). Start off your first movie built after the first book, so it would be literally called Bone: Out from Boneville. If that does good (or if you simply want to, because Resident Evil‘s been going down critically but going up financially), then keep making movies until you make one for all 9 books. It’s hard trying to cram everything into one movie, and the Bone faithful will be really disappointed if their favorite series is only interpreted in one movie. Make the movie as kid-friendly as the first Harry Potter movie…it wasn’t! That movie had giant trolls, 3-headed dogs, ghosts, and other crazy stuff. (It’s an astonishment that Harry Potter had PG ratings for the first 3 movies, including the 6th one later on.) Not that I’m saying that any of that was in the first Bone book, but you know what I mean. 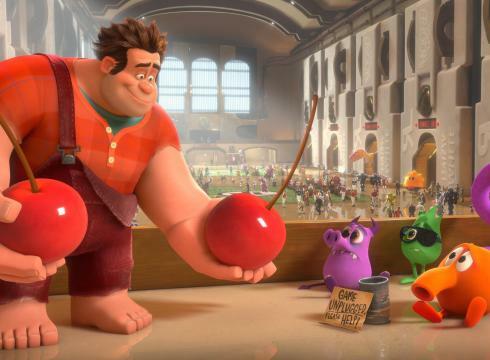 Have your fair share of kiddie and also non-kiddie in the movie, because if you take it too far, the makers will set the movie up for a PG-13 rating. And that’s a real bummer in the summer, because most of the Bone faithful I know are preteens. With every proceeding movie, make the series take more darker turns until literally, the MPAA has to give it a PG-13 rating. At least do what director Mike Newell did: save all the intensity for the fourth movie. 4. Make voice acting reasonable. Thankfully I haven’t heard much of the three lead Bone stars being portrayed by the voices of child actors. Make the voicing reasonably acceptable, because this is what my brother told me: if you can’t make chemistry with the main character, it’s guaranteed that you’re not gonna like the entire work, because people focus the most on the main character. Mass Effect wouldn’t be the same without Commander Shepard, nor would Double Dragon be the same without Billy and Jimmy Lee. And for this, all I have to say is: don’t make the voicing annoying, but just a little grating, perhaps. Not like I’ve worked in film…unless you count school plays as film. 5. Stay true to what’s in the book. I know, this probably should’ve been #1, but hey. 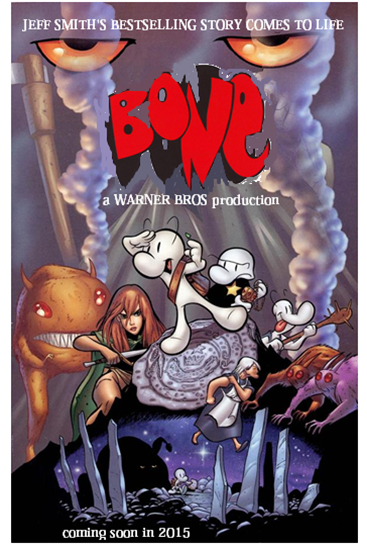 If you’re not gonna stick to what’s in the book, then you might as well scrap the idea of a Bone movie right now. Film adaptations are executed solely for sticking to what’s in the book. The movie Bridge to Terabithia gave us everything from the book, but in movie form. That’s actually bad, because you might as well leave some free space for audiences to find surprises and/or discoveries that they didn’t read in the book. This was the problem with about the 1st and 2nd Potter movies, simply said. You don’t want too much surprises, nor do you want too little. You want the perfect amount of discoveries while still staying truthful to the Bone tale. 6. Make sure you’ve even read the darn book yourself. No explanation necessary here. Well, that’s all for now. I gotta go get some shut-eye, or whatever people call sleeping these days. But before you go, one last question: Are you excited for this entire plan at all? Hey guys it’s Sam, and if you’re from my background, you have to be therefore African. And it’s pretty darn amazing that one game of kicking a ball around and shooting it into a goal can turn into Africa’s main sport. Nonetheless, that sport is soccer, also known as [association] football, footy, “the world game”, or even “the beautiful game.” And being the most popular sport on the face of the planet (literally, I’m not bluffing) with over 3.5 billion fans (see? ), you may know the highest governing body of this great sport: FIFA. The first video game of FIFA’s great big saga releasing back in summer 1993 (FIFA International Soccer, aka FIFA ’94), almost 2 decades would pass and FIFA would slowly work its way up the fame ladder, improving in mechanics and physics. Today, FIFA stands as the eighth-most bestselling video game franchise, beating Need for Speed but falling behind Final Fantasy. Enough talk, let’s get to the good stuff. In 2005, FIFA took to the streets for the first time in the sixth-generation of consoles. And as generations have passed on and new consoles have formed new generations, FIFA‘s been getting better and better. Along with last year’s release of the acclaimed FIFA 12, next month we’re getting another trip into the world of simulated soccer we love so very much. The last time FIFA took to the streets, it was 2008, and it didn’t do great. But now it looks like critics will be dropping to their knees and begging for mercy, because the streets we knew and loved are gone. That’s right. This is not a joke anymore. When the new FIFA Street (aka FIFA Street 4 or FIFA Street 2012) shoots a goal next month, it’s gonna be a complete reboot, whether you like it or not. This is the first game in the series for four years ever since FIFA Street 3 arrived in 2008 (and it will rightfully be E-rated). EA Canada and EA Sports (the same companies behind the upcoming SSX) will promote full devotion to the game, and a chunk of the people that gave us FIFA 12 will also be chipping into this. The two games will share the same visual engine, the Impact Engine. 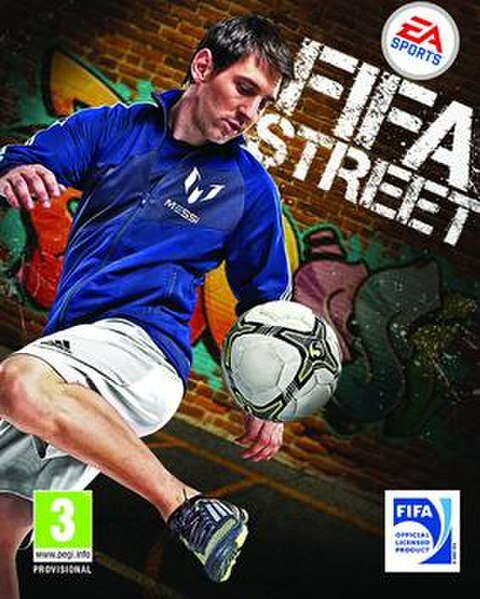 The FIFA Street line producer, Sid Misra, promises “the first true quality street football experience.” Well, say that to the people who worked so hard on the original FIFA Street and FIFA Street 2. First announced back in late summer 2011 at Germany’s Gamescom event, the new FIFA Street (among other EA Sports titles) will be available exclusively early to buyers of the EA Sports Season Ticket. What that is, I have no idea. What it does, I know now. If you’ve got a PS3 or Xbox 360, make sure to mark your calendars, because FIFA Street‘s demo will arrive to the PSN and Xbox Live atmospheres on the 28th this month. Jumping with the ball between your legs is one of the most classic tricks in the book. So make sure you mark your calendars for March 13th, because FIFA Street‘s bicycle kicking into retail stores that very day. I was gonna make these letters bigger so you wouldn’t forget, but…Also rate, comment, like, and kick the subscribe button in the shins and give it a yellow card! As of today, this is Samuel Mwak, 11 years old, whom believes that silence is golden, but duct tape is silver. Hey guys it’s Sam, and if there’s one thing 2012 media is going to blow up for, it’s video gaming. Without video games, we’d never have a source of interactive entertainment, and I’ve decided to sneak a couple of spoilers at you for only the best games to expect next year, some of them even on my anticipated list myself. Without further ado, let’s take a look at interactive 2012! A rider takes an icy trip down a snowy slope. If you could remember back in the seasons where wind chills were abnormally low, I released a post about the upcoming “SSX: Deadly Descents”. The darkest game of the six (seven, counting the mobile Out of Bounds) has now been renamed to just SSX, and is the first game of the new year, having already slid into stores 6 days ago. The theme has been announced as “race it, trick it, survive it”, with shown footage including helicopters, objectives, a new user interface, graffiti, and much more. EA Canada will have their crafting hands in session for SSX, while EA Sports will be publishing it. Although we have to wait, Europeans have already gotten their own public share! (the game making a European debut two days ago) It’s an outrage. Deus Ex? Hitman? Dragon Quest? All bestselling creations from Square Enix, resulting in a merge between Enix and Square Co. in 2003. In the eight years they’ve been a part of the interactive world, they’ve already gotten a taste of bestseller’s fame. And they’ve decided to give one of 2009’s lone wolves their pack with Final Fantasy XIII-2. 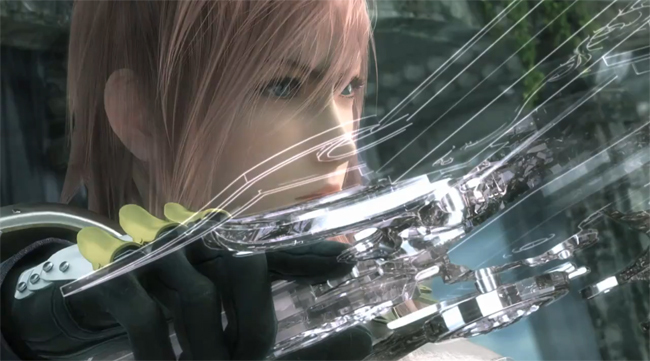 A direct sequel to Final Fantasy XIII, the storyline revolves around Lightning as she disappears into an unknown world. Her younger sister, Serah, and the boy named Noel attempt to find her in an evolved fighting system compared to the original. The Filipino singer Charice will belt the theme song called “New World”, while Mai Fukui will sing the Japanese version, “Yakusoku no Basho”. The talk of a sequel rose as early as January 2010, but it was officially announced in January 2011 and will head for stores at the end of January 2012. Will this adventure be the best yet, or will it really be Square Enix’s final fantasy? Kazuya hits Ryu with his own shoryuken that proves he's been in the city of ember. This is what you’ve been in the streets crying for. Street Fighter had to cross over with something sooner or later. And if there’s a biggest fighting game of 2012, it’s definitely Street Fighter X Tekken. This fully-Capcom-crafted game will take to the 2D streets of Street Fighter, opposed to Tekken. But don’t worry–Namco is making their own to-be-announced (TBA) present known as the confusedly named Tekken X Street Fighter. The game is going to hurricane kick onto the PS3, the Xbox 360, and the soon-to-be-published PlayStation Vita so far. The storyline is about a cubical object that crashes onto Earth, that releases a watery energy when people conflict over it, which makes no sense compared to the game. Anyways, on March 2, put on your fingerless gloves, folks, because we’re taking it to the streets like never before. 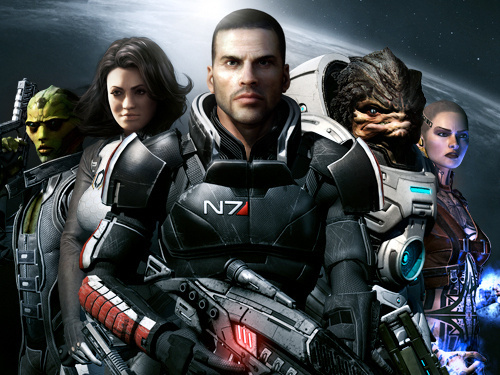 from left to right: Thane, Miranda, Commander Shepard, Grunt, and Jack. Have you ever had no idea of your past? Have you ever dreamed of becoming an unstoppable shapeshifter that could take the body of anyone who dared to walk in your path? You’re thinking about Alex Mercer from Prototype. He is the main character with the ability to roam around post-diseased Manhattan. You see, a plague called Blacklight has swarmed around Manhattan, turning anyone infected into a monster with an urge to destroy all uninfected. Although it was derivatively compared to Infamous and Incredible Hulk: Ultimate Destruction, it instantly became a top Steam sale and a Platinum Hit, so it had to get a sequel, which is now Prototype 2. The sequel features a new protagonist, Sgt. James Heller, on a quest to eradicate Blacklight with a vengeance, setting his crosshairs on Alex himself after the death of James’ family. The sequel was announced at the 2010 Spike VGA Awards under the slogan “murder your maker”. Sharpen your claws everybody…retail stores are getting infected April 24. And that’s the best of all the announced video games. There are tons more that are going to press start sometime in the year, while their dates are unclear. Here are a couple of anonymously-releasing games. In 1998, Mario Party was born as a Nintendo 64 exclusive. Over the 14 years it rang, 10 more installments spawned, counting Mario Party Advance and DS. Now, the ? block is going to open again, and thus will become Mario Party 9. Continuing the criticized-but-traditional board game wrapper from past games, the game is taking a new taste by allowing everyone to transport around the board in cars. Minigames are obviously returning, with more gameplay focus than of Mario Party 8. The only available platform the game is coming to is obviously the Wii. After 2 critically crumbled installments, will the rivalry of Mario & Sonic still thrive with their series? After a dinner of dust in the Olympics, and a faceful of frost in the Winter Olympics, can they stop eating the ground in the London 2012 Olympics? The competing characters are divided into 4 groups: skill, speed, power, and all-around. It’s just been announced that more focus is captivating the events and gameplay, which is no big surprise for 2012. Some sports include badminton, soccer, and equestrian that are headed for Wiis. But do you want to go back to the past while still being present? The Dream Events have your question answered. The 3DS version of the game is scoring retail stores in February 2012, but the Wii version is actually coming out in mid-November 2011. Oops. Halo was known as the reason why people bought the Xbox in 2001, so it become a revolutionary Microsoft breakthrough. Then Halo 2 came out at the end of 2004 and outdid its predecessor as the Xbox’s bestselling game by just 3 million copies. Then Microsoft gave birth to Halo 3 three years later, the third-most bestselling game of the Xbox 360. Then something known as ODST came out in 2009 which is surprisingly a main entry (the fourth, by now), and also the twelfth on the 360’s bestselling list. Then Halo got back into structure with Reach, which is surprisingly the eleventh-most bestselling X360 game. Can they get on the top of the lists for the sixth time with Halo 4? Apparently, this game is the new beginning of the “reclaimer trilogy”, a series of new Halo games. Sadly, Bungie has broken their developing hands and passed them onto 343 Industries. The game continues sometime after Halo 3, and marks the return of Master Chief as a main character. Sadly, you’ll have to wait a long time for the game, as it’s being released in 2012’s final quarter. So those are some games to expect in the year. And one more final hint of an upcoming game: Vehicular combat with an evil flaming clown. Sony Computer Entertainment’s Twisted Metal is coming back on Valentine’s Day 2012 after 4 years, but I don’t believe I feel their love.